The above video explains how our proprietary Helium Leak Test ensures the integrity of our Fluoropolymer linings. Fluoropolymers are a family of plastics that use the fluoride ion to create superior protection against chemical corrosion and permeation. 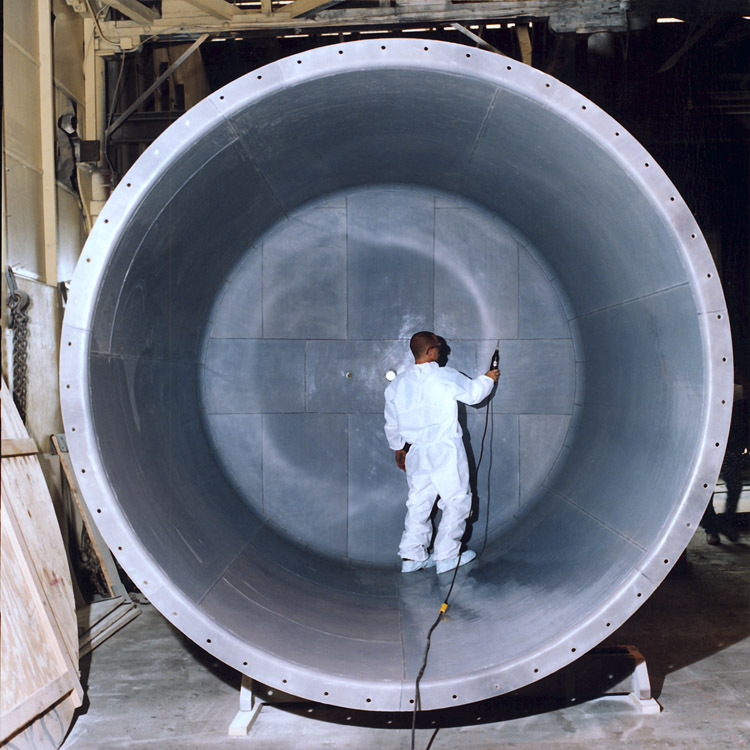 Partially fluorinated polymers provide cost effective corrosion barriers for many lining applications. Fully fluorinated polymers, due to the strength of the fluorine-carbon bond, provide resistance to attack from virtually all chemicals, making them the lining of choice for severe chemical service. This trait also makes them the linings of choice for transporting and storing ultra-high purity chemicals for the semiconductor industry. Fluoropolymers are very effective for lining both steel and dual laminate pipes, equipment, storage tanks, and transport vessels. They’re much more cost-effective than exotic metal alloys or glass-lined containers. And Electro Chemical can do the work in its shop or on location at your facility. Not all suppliers will work in the field. Electro Chemical does. When you work with Electro Chemical, you have access to the full range of materials that make up the fluoropolymer lining family. Each material has its strengths. It’s just a matter of matching your performance needs with the fluoropolymer that will provide the results you require. 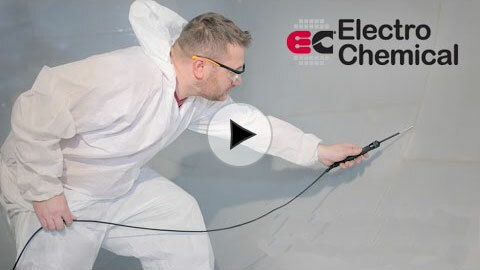 Electro Chemical is well-versed in identifying the lining you need and applying it in accordance with precise and demanding specifications. If you’d like to learn more about the specific fluoropolymer resins we work with, please visit our Fluoropolymer Lining Materials page. For additional insights about Fluoropolymer Linings overall, please visit our Linings FAQ page. There you can learn the average lifespan of a liner, how to tell when a liner needs replacement, and more.